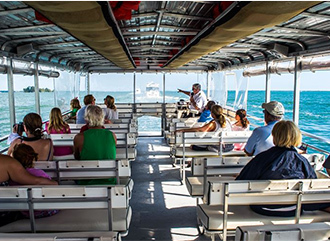 The River King, our 45' Sightseer Pontoon, offers daily eco-tours through the Indian River Lagoon. 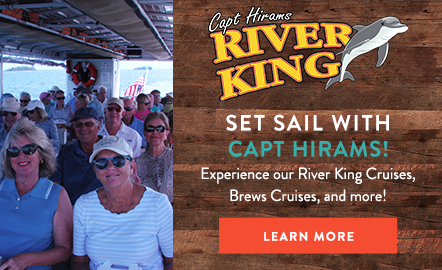 Departing from Capt Hiram's Marina, you will sail along the shallow waters of the Intracoastal Waterway in all-weather comfort. 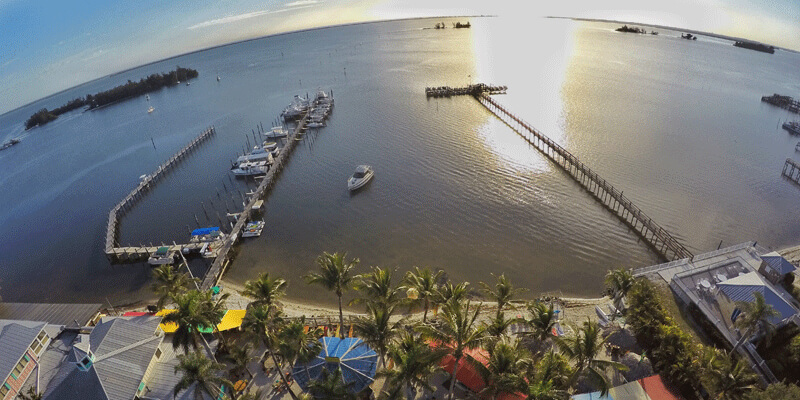 Trust us, there is no better way to take in all the natural beauty of the Sebastian Waterfront. For more information and reservations, call 772-589-4345. 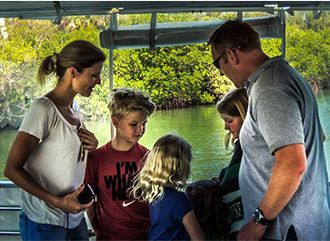 Cruise to the Sebastian Inlet to visit with dolphin, manatee, schools of fish, and beautiful marine birds. Explore the scenic Sebastian River and see alligators, dolphin, manatee, turtles, and all the beautiful water fowl that live on the river. 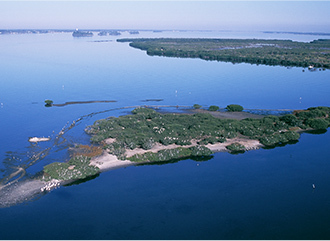 Cruise to the Pelican Island Reserve where you can often witness dolphins and thousands of birds returning to the island near sunset. 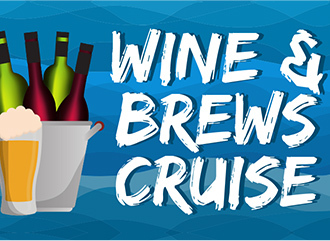 Set sail on our seasonal Brews Cruises! Sample local craft beers as we cruise to Pelican Island and enjoy the scenic river. Tour times are subject to change, based on seasonality and weather restrictions. Each cruise lasts roughly 2 to 2 1/2 hours. Please arrive 15-20 minutes before your departure. When you arrive, please check in for your cruise at the Adventure Center. The River King is handicapped accessible. There are restroom facilities on board. Each cruise requires 6 passengers to sail. If your cruise hasn't met that requirement, we are happy to reschedule or refund your reservation.